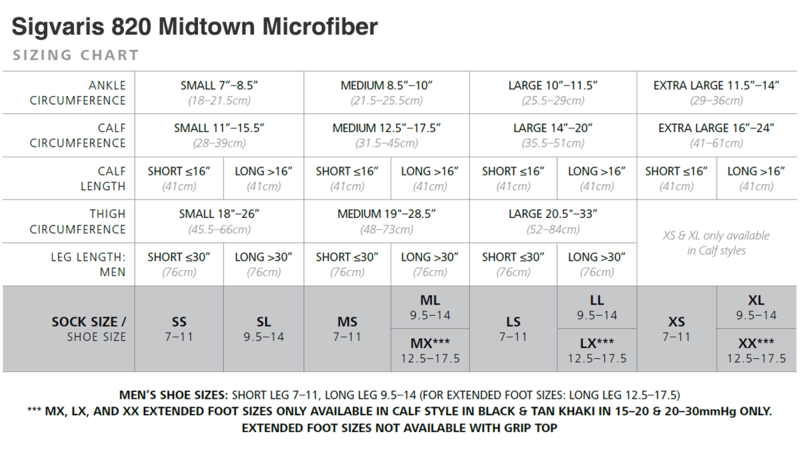 Sigvaris Midtown Microfiber Thigh high compression stocking is a comfortable dress sock knit with microfiber. It's breathable and durable, perfect for everyday wear. The ribbed design is perfect for a casual day out or for work, and the compression effectively manages swelling in the legs and feet to boost circulation.